Jeff Reinhardt is a partner with KBST&M and has over twenty years of public accounting experience. Jeff currently serves as the head of the firm’s business valuation department. Jeff’s areas of concentration are in auditing (Government “Yellow Book” for mortgage industry, real estate, and employee benefit plans), accounting services, individual and corporate taxation, management advisory services, and valuation services. He serves many clients in various industries, including professional services, real estate, mortgage lending, contracting, and manufacturing. 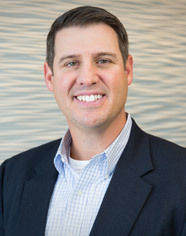 Jeff holds a Bachelor of Arts degree in Economics from the University of Maryland Baltimore County, with Certificates in Accounting and Finance. Treasurer of Taste Wise Kids, Inc.